We may have just gotten our first look at the 2017 Google Pixel XL, according to a report by the ever-reliable Android Police. The main takeaway is that the bezels are much smaller – thank goodness. Rumors have suggested as much for a while now – after all, the large bezels were one of the biggest complaints on the 2016 Pixels – but it’s nice to see those reports corroborated. Android Police also claims LG is manufacturing the device this time around, as opposed to HTC like last year. That would make some sense given how much LG has focused on that detail with the G6. The display on the XL is reportedly set at 6-inches, with a 2:1 aspect ratio. 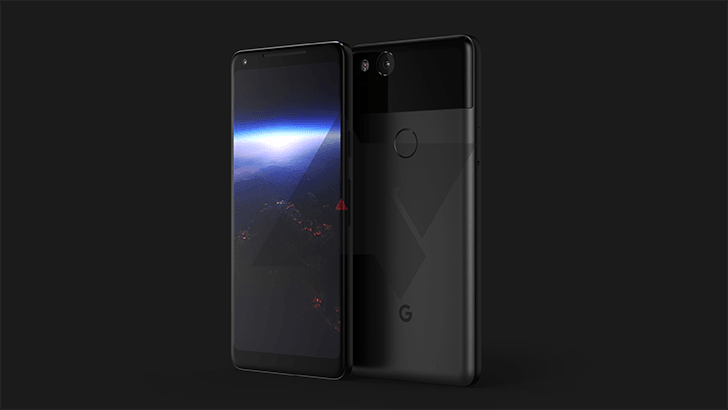 Also worth noting is that current rumors suggest the smaller Pixel will go relatively unchanged other than a spec bump; it’s keeping the larger bezels and a 5-inch screen. That’s a shame if you ask me – I’d rather fit a larger screen into a truly small body than get a huge screen into a body I can’t really handle with one hand anyway. There also isn’t any indication of a dual-camera setup, which is disappointing for those looking for those who want a bit more versatility from their shooters. Curiously, the device is also reported to have squeeze sensitivity a la HTC U11 – despite not being built by HTC. The feature is supposed to be primarily aimed at interacting with the Google Assistant, but the report is otherwise light on detail. Android Police clarifies that the design may change by the time the phone is unveiled, but this should still give us a good idea of what to expect. It’s a good sign if you ask me; I liked last year’s Pixels a lot, but thought they were a little boring. This year’s models are already shaping up to be much more interesting.